Born in England in 1817, he was married twice, his first wife dying in 1847. His second wife was Jean Ross, daughter of a Hudson’s Bay Factor at Norway House. He was sent to Canada by the Church Missionary Society (Church of England) in 1844 as a missionary to the Indians. He was stationed at Cumberland House, and later established an Indian mission station at The Pas. This station, including a church, a schoolhouse and a mission house, was built by Indian labour with help from members of a Sir John Franklin expedition who were spending the winter at Cumberland House. He studied the Cree language, translating portions of the hymn book, the Book of Common Prayer and the Bible into Cree. After a year’s furlough in England in 1854, on his return to Canada in 1855, he was appointed to the charge of St. Andrew’s Red River, headquarters of the Church Missionary Society’s work, where he served as secretary to the Society, and later was appointed to the newly created post of Archdeacon of Cumberland. In 1859 he visited the Mackenzie River District and established a permanent missionary organization there. He was involved in 1862-63 with the trial of Rev. Griffith Owen Corbett, being accused (apparently falsely) of moral turpitude himself. The libel may have cost him the bishopric in 1864. 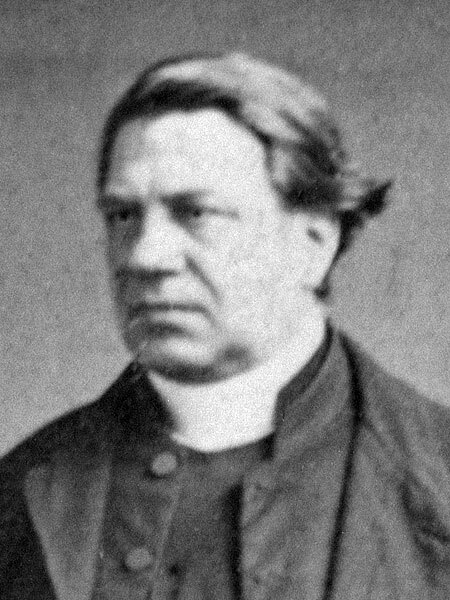 Hunter returned to England in 1864 and was appointed to the charge of St. Matthew’s, Bayswater, London, which pastorate he held until his death in 1881. He was the author of A Lecture on the Grammatical Construction of the Cree Language (1875). James Hunter, Dictionary of Canadian Biography XI, 436-37.